Stories themselves are one of the first immersive experiences anyone can have. A 4D room simply allows users to take people on a journey using technology, whether it be to space or to your own back garden. 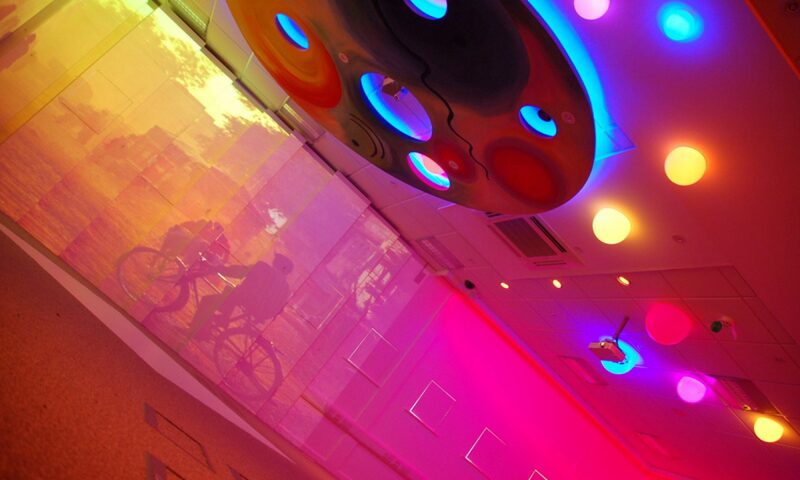 By adding images, sounds and lights and a touch of magic – you can transport people into their very own stories. And stories don’t have to just be fictional either; history can come alive in a 4D space, with tales of Kings and Queens ruling over Britain… all the way back to the dinosaurs that walked the Earth. Maths can become an exciting murder mystery case, with evidence scattered and clues to be solved. You could set sail across the oceans or take to the skies to visit countries far and wide to discover what geography can be found. Whatever your story may be, immersing a whole class within it, in as many ways as possible can leave a lasting impression and create very memorable experiences. Gav Cross, Professional Storyteller Extraordinaire has been telling stories in schools and all over UK for years. We’ve worked closely with Gav developing content and storytelling devices many times. 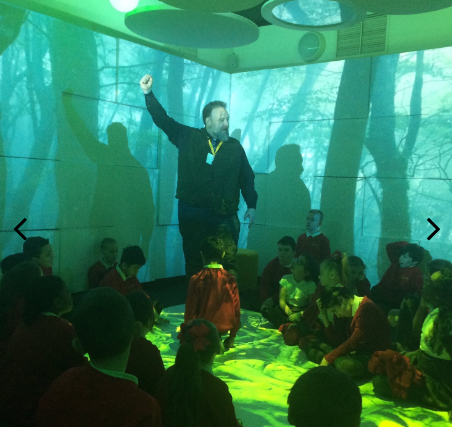 At the end of January for National Storytelling Week, one of our wonderful schools, New Park Primary in Liverpool, who have a permanent immersive space, enlisted Gav’s expertise to inspire the pupils by telling stories and weaving narratives. Photos from Tweets featured by the various Class Twitter accounts at New Park Primary School. 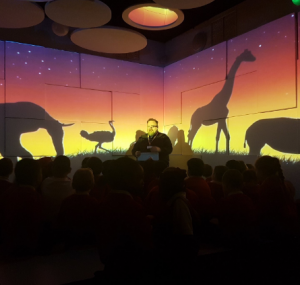 New Park Primary has a 4D Immersive space. I arrive with USB stick in hand ready to load the stories that have been selected from the list on offer. 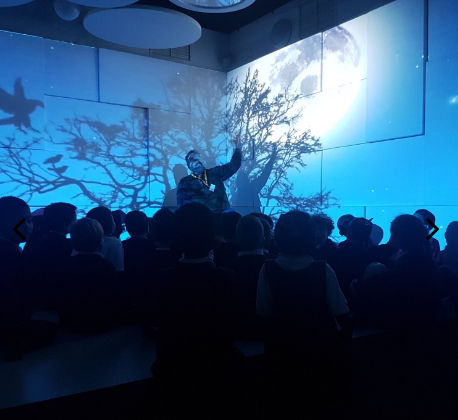 Over the two days there, during National Storytelling Week, I will have the privilege of working with every single class. From the Nursery tour of The Bears House to Year 6. We tiptoed through traditional stories told with a twist. Told tales of Liverpool in some of its most significant Historical times. Stories to fire imagination and writing. Stories that take us back. Stories that send us forward and up! 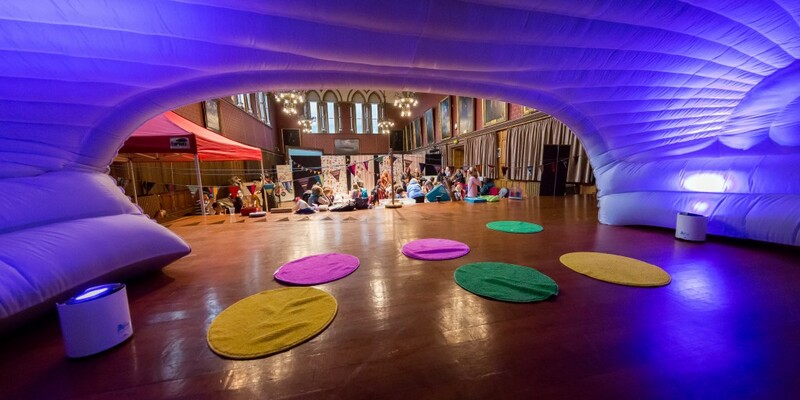 Not only that but during Spring half term, Gav took a 4D Pop Up to Chester Town Hall to take his storytelling to Storyhouse, as part of Wayword Festival. 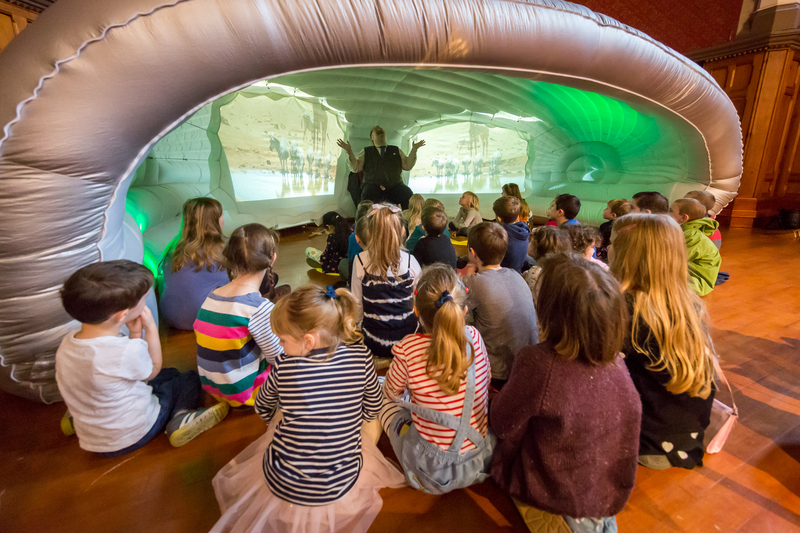 There he explored stories over the half term week, drawing in audiences of children of all ages. The Pop Up allows the stories themselves to be transported as well as transporting the people inside to new and wonderful places. This mobile solution is a great asset at festivals and events, creating its very own cubbyhole, a place to rest, a place to go on adventures, a place to settle down and just be totally immersed in the worlds it takes you to. Photos from Wayword Festival by Mark Carline. 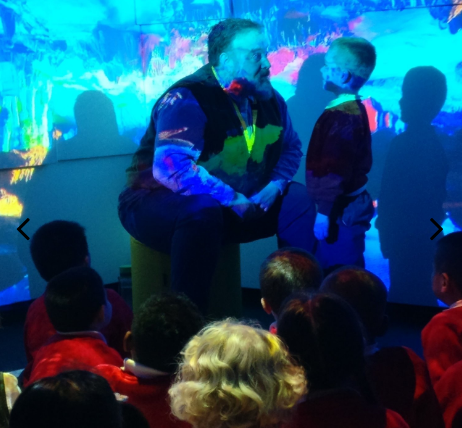 To find out more about the storytelling work Gav Cross does with his 4D Pop Up visit his website! Previous PostPrevious World Book Day 2017! 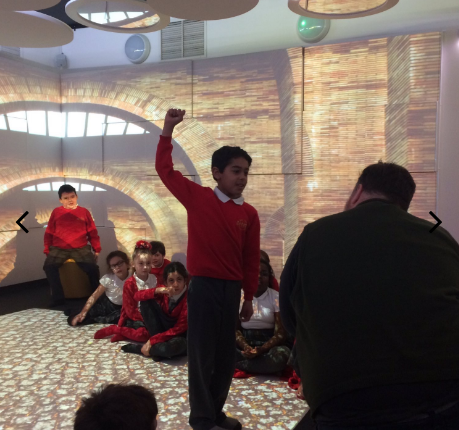 Next PostNext The immersive story of Liverpool FC – Told by children from Four Oaks Primary School.